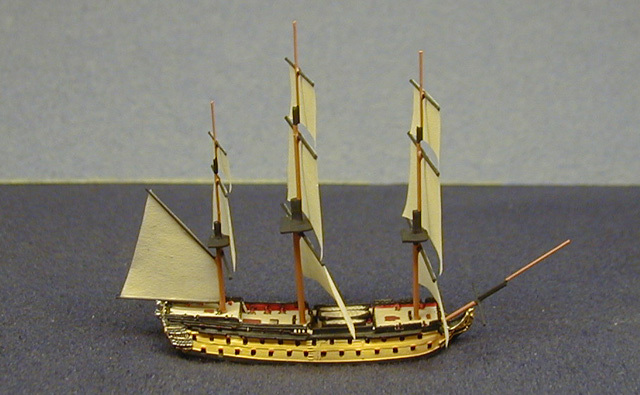 Dimensions: 169 x 47 x 20 ft.
Service: HMS Alexander was launched during the crisis of French intervention in the American Revolution, and assigned to the Channel Fleet. On 6 Nov 1794 while returning to England from the coast of Spain under the command of Capt Richard Rodney Bligh, she was captured by a squadron of five French 74s and three large frigates under RAdm Neilly. The French renamed their prize Alexandre. However, she was with a French fleet off Belle Isle on 22 June 1795 when the British Channel Fleet under Lord Bridport found them and she was recaptured and taken back into British service. 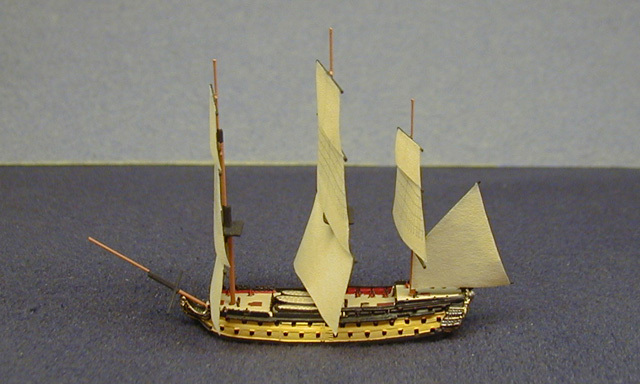 In 1798 Alexander was under the command of Capt Alexander John Ball and assigned to Lord St. Vincent's fleet at Cadiz. In May she joined Nelson's squadron in the Mediterranean to search for the French fleet which had sailed from Toulon carrying Napoleon's expedition to Egypt. After much sailing, the French were finally discovered at Aboukir Bay, west of Alexandria. 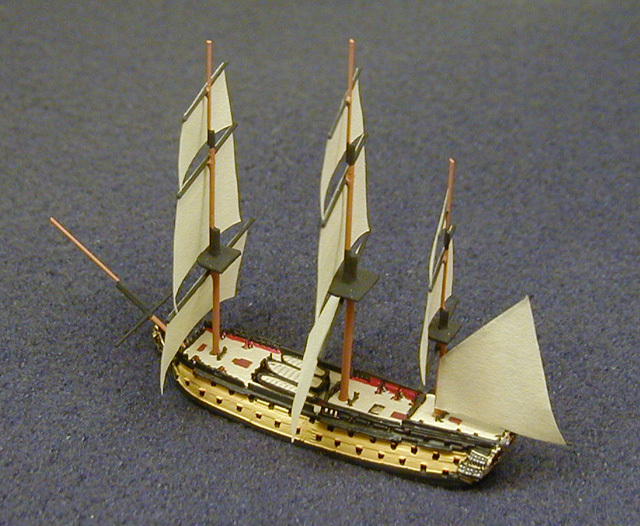 On 1 Aug 1798 at the Battle of the Nile she was one of the last British ships to engage. 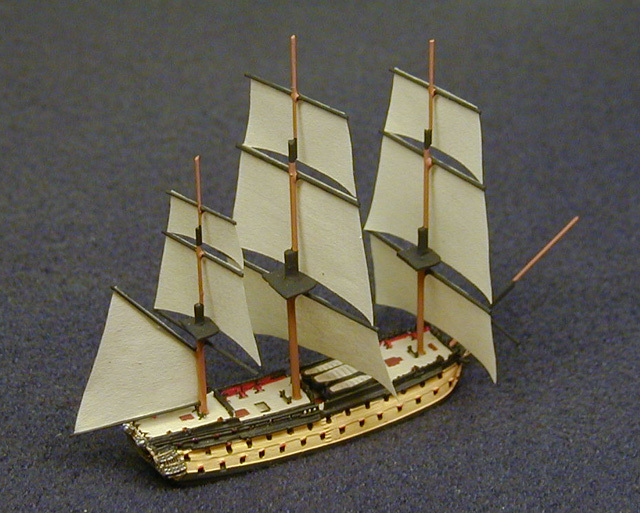 She penetrated the French line between the French flagship L'Orient and Tonnant and anchored to port of the former. 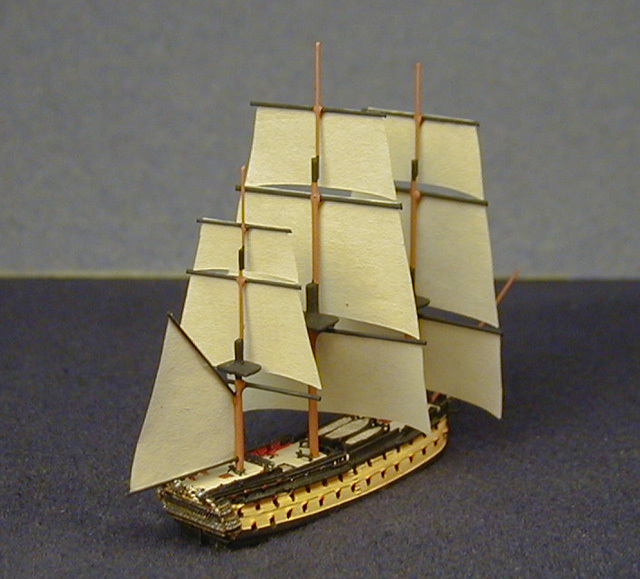 Along with HMS Swiftsure her firing caused L'Orient to catch fire and eventually explode. Alexander herself caught fire but was able to control the damage. During the battle she suffered 14 dead and 58 wounded. From 12 Oct 1798 she blockaded the French at Malta, Capt Ball being in command of the British forces. She was at Naples briefly in June 1799 during revolutionary troubles there, before returning to Malta. On 18 Feb 1800 in company with HMS Foudroyant and HMS Northumberland she captured the French 74 Genereux, which was carrying 1500 French soldiers for the relief of Malta. The French garrison finally capitulated in Dec 1800. Alexander returned to England 13 Aug 1802. She went out of commission in 1803, and was broken up in Nov 1812.